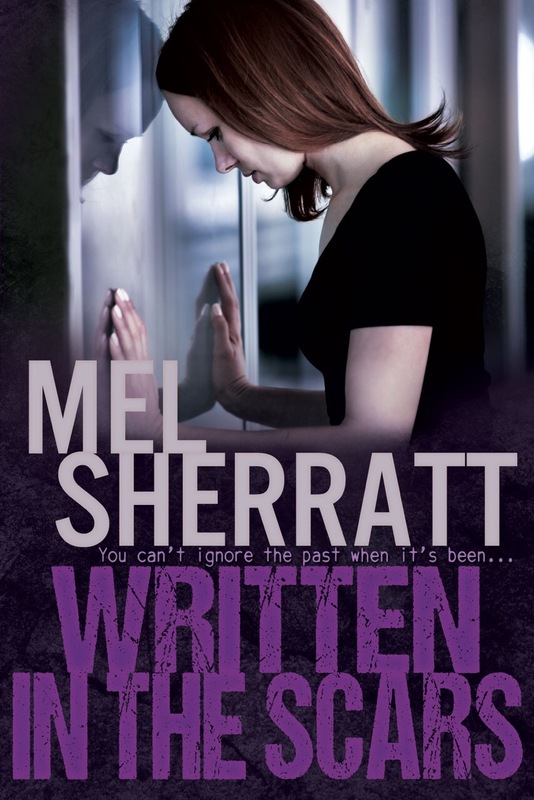 Today is my stop on the blog tour for Mel Sherratt’s latest book along with Chelles Book Reviews, so make sure you pop over to Shell’s blog too. I write police procedurals, psychological suspense and women’s fiction with a punch – or grit-lit, as I call it. Shortlisted for the prestigious CWA (Crime Writer’s Association) Dagger in Library Award 2014, my inspiration comes from authors such as Martina Cole, Lynda la Plante, Mandasue Heller and Elizabeth Haynes. TAUNTING THE DEAD is part police procedural/part psychological thriller. It has been a standalone for two years but I have now written two more books with Detective Sergeant Allie Shenton as a main character and created a new series. FOLLOW THE LEADER will be published on 10 February 2015 followed by ONLY THE BRAVE on 26 May 2015. THE ESTATE SERIES are a mix of women’s fiction, psychological suspense and crime thriller. They are often too dark for women’s fiction alone – although the subject matters and issues are often referred to in this genre – too light in places for crime thrillers, and often not enough for the psychological suspense readers out there. They are drama meets crime. WATCHING OVER YOU is a standalone psychological thriller. It’s dark in places, light in places, disturbing in places too – where obsession and friendship turns to murder. Extract from The Girls Next Door…. ‘She’s not a bimbo!’ Katie tried to sound outraged, but her voice didn’t carry as much authority as she had hoped. The two boys with Nathan began to snigger. She had seen them both before several times: Twins Tom and Craig Cartwright. They were all wide-eyed and their mood seemed a little oppressive. Craig was checking his phone and Tom kept looking over towards the path that led into the subway. Katie tried not to grimace as he thrust his face nearer to hers, his breath rank. He’d definitely been taking something. ‘Do you want a smoke?’ he asked, pushing a spliff to her lips. ‘No, thanks.’ Katie disliked it with a passion after watching her granddad smoke forty a day and die a painful death from lung cancer. Alcohol she was fine with, and the odd happy pill. But these boys had taken more than that, it seemed. Nathan’s pupils were like black bullet holes. ‘So where is Jess?’ he asked again, looking at his watch before glancing down the bank. Katie swallowed. Being on her own with Nathan would be bad enough but with these two loons as well? She had to be home by ten anyway, but she would stay for an hour and then maybe slip off on the pretence of getting some lager or something. She’d kill Jess when she got her hands on her. That bloody Cayden! ‘He’s on his way,’ said Craig, pointing down below. They all followed the direction of his finger. Katie could see someone walking along the path. He wore baggy jeans, trainers and a black hoodie with a yellow emblem on the back, the hood pulled up so his face was almost hidden. ‘Who’s that?’ she asked, sensing the mood darkening even further. I was delighted to hear that Mel Sherratt had a new book coming out and I was lucky enough to be able to read an early copy of The Girls Next Door. The Girls Next Door introduces readers to Detective Eden Berrisford and her team as they undertake an investigation into the murder of sixteen year old Deanna Barker. What unfolds in the midst of this investigation has wide ranging consequences for many of the characters in this book. I don’t know what I was expecting when I started this book as I read a lot of crime books, but The Girls Next Door stood out for many reasons. The humanity of the characters, coupled with the sense of community made this an unusual read in that it was explored much more than in traditional crime novels. Mel Sherratt has a knack for writing accessible, likeable and fundamentally human characters, The Girls Next Door was no different. I found the plot really engaging too. Yes, it’s hard to read about gangs and murder, but the author has done a great job with it. Weaving a wide-reaching web of stories together while making it appear effortless, Mel Sherratt has written a really well plotted novel. There are some tense moments, unexpected twists and some really emotive scenes. I thoroughly enjoyed The Girls Next Door. I raced through it and couldn’t put it down as I reached the final few chapters! Highly recommended! My thanks to Bookouture, Netgalley and the lovely Marcie Steele for my copy of her new book. 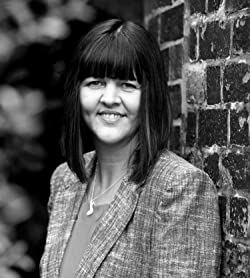 For any of you that don’t know, Marcie Steele is the alter ego of superb crime thriller author, Mel Sherratt. Anyway, I digress, as usual!!! That’s What Friends Are For is the second Marcie Steele book I’ve read. The first, Stirred With Love, was brilliant. Such a step away from my usual crime reads, and really well written (I gave it 5⭐️ and read it in a day!!!). Anyone that knows me, and reads my blog, knows that I pretty much only read crime/thrillers/police procedurals et al so this isn’t my usual fare. However, the moment I heard the new Marcie Steele was on Netgalley, I instantly downloaded and began reading it. After loving her previous book, I knew I was in for a treat with That’s What Friends Are For. Marcie/Mel has a lovely writing style in these books. It hooks you immediately, and you feel as if you’re reading about your friends. It’s almost comforting because picking up one of these kinds of books makes you feel right at home within the pages. Sam and Louise could easily be you and your best friend, they are that relatable. I loved them both equally as characters as they are very down to earth and likeable. Both have their own issues (haven’t we all?! 😂) but their friendship seems to be very strong. Alas, the girls run into problems in their respective lives and it leads to trouble brewing between them. 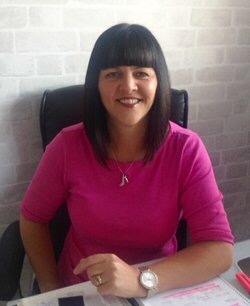 Family and relationships are the main themes in That’s What Friends Are For, and they are addressed beautifully by Marcie Steele. I loved all the intermingling stories between the supporting characters on the book. Whether they work together, are related, or even a minor character, they are all written so well that you can imagine them in your head. Due to the nature of the majority of books I read, it’s not often (thankfully!!!) that I can put myself in a characters position, but with Louise and Sam and their respective families it was easy to draw comparisons as it’s just so real. I would absolutely recommend That’s What Friends Are For, especially if you enjoy well written, character rich, heartwarming books. An easy 5⭐️’s from me on Goodreads. Today, October 30th, sees the publication day for Mel’s fourth book in The Estate Series, Written In The Scars (isn’t that cover beautiful?!). I’m lucky enough to have received a review copy from Mel (thanks again 😉 ) along with getting to be a part of today’s publication day blogsplash. In addition, I get to share the opening scene from the book, which you can find HERE. After year of living as a single parent, all Donna Adams longs for is someone to make her smile, to share hopes and dreams with, to keep her warm at night. But when that certain someone gives her the attention she craves, true love doesn’t always follow the right path. Home from the army, Lewis is a changed man. Angry and consumed with grief, troubled by nightmares and flashbacks, his mind is worse now than ever. Shutting out what he’s seen isn’t easy, but he risks losing everything he’s come back to if he doesn’t, including his sanity. Megan Cooper hides her scars for fear of being rejected. Mary Marshall can’t always remember how she got hers. TAUNTING THE DEAD is part police procedural/part psychological thriller. It has been a standalone for two years but I have now written two more books with Detective Sergeant Allie Shenton as a main character and created a new series. Thankfully, Mel assured me that Written In The Scars could be read as a standalone. Once I heard that then I was super excited to get stuck in! I read Written In The Scars in two sittings. Once I started reading, I was completely engrossed in everyone’s stories. The way the characters are written makes you feel like you’ve known them for years. Their day to day routines, their chats and their individual struggles all felt so familiar that it was like catching up with old friends. My own personal favourite was Megan. She’s a really likeable character. I really liked the theme of scars that runs through the book. Everyone has scars, even you and me. Be it physical, emotional, mental, they’re there whether you can see them or not. This commonality makes it easy to relate to each characters struggles in Written In the Scars. Having not read any previous books by Mel, I didn’t know what to expect with her writing and plot direction. Sufficed to say, just over halfway, there’s an exceptional plot twist that I wasn’t expecting at all!!! This took one of the characters in a completely different direction to where I thought they would go initially. I found myself reading faster just to see how everyone would fare out. I genuinely loved this book. I thought it was well written, with a beautifully crafted theme running through it. I will most definitely be reading the first three books in the Estate Series ASAP!!! I gave Written In The Scars 5⭐️ on Goodreads. I hope you enjoy it as much as I did!